Oatmeal is just about the most comforting and healthy breakfast around. With so many delicious ways to change up the flavors (cinnamon, cacao powder, peanut butter!) and such a variety of toppings to make each bowl unique (nuts, fruit, compote, poached eggs!) there is no better whole food bowl. Here is everything you need to know about how to make oatmeal--plus nutrition facts, topping game-changers, types of oats, and so much more! Oats have been considered a healthy breakfast option for decades, with good reason. Oats of all varieties are packed with a certain kind of soluble fiber known as beta glucan. This type of fiber is associated with reduced metabolic syndrome, a reduction in LDL cholesterol (the bad kind), decreased risk of heart disease, and improved digestive function. 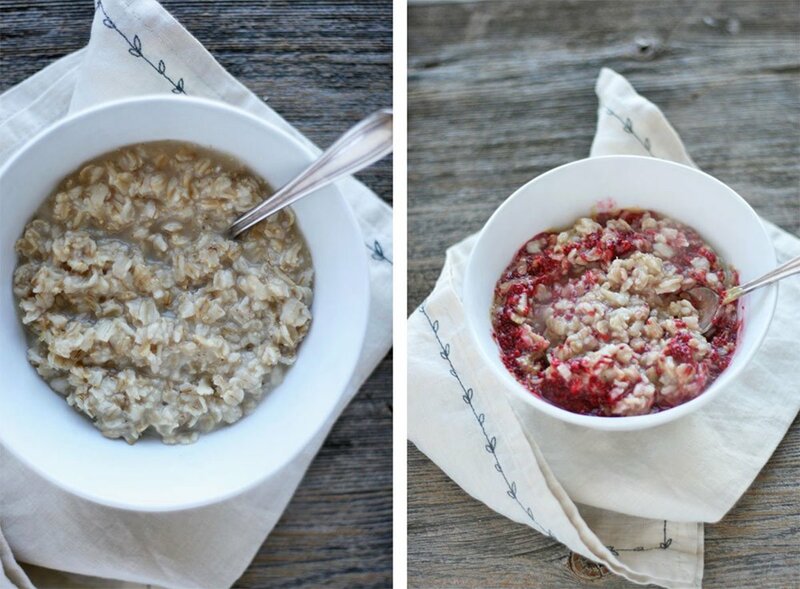 Starting off your day with a big bowl of oatmeal delivers even more health benefits. Oats contain unique antioxidant compounds called avenanthramides, which help to prevent free radical damage. Oats (and other whole grains) keep your ticker healthy, too. 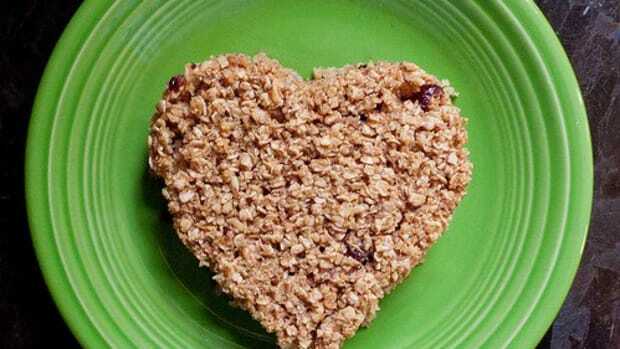 Harvard researchers studying the effects of whole grain cereal consumption on heart failure risk followed 21,376 participants in the Physicians Health Study over nineteen years. 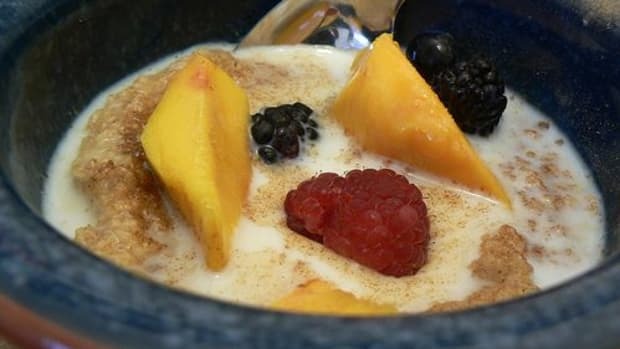 "After adjusting for confounding factors, they found that men who consumed a daily bowl of whole grain (but not refined) cereal had a 29 percent lower risk of heart failure." Also called old-fashioned, traditional, or whole oats. These oats have a flatter shape due to being steamed and then rolled to flatten. Rolled oats cook faster than steel-cut oats, are ideal to use in baking for cookies, muffins, granola bars, and quick breads, can easily be ground into an oat flour, and absorb more liquid than other types of oats. These oats are also known as Irish or Scottish oatmeal and have a thick and chewy texture once cooked. Cutting the whole oat groats with steel blades into several pieces produces steel-cut oats. These oats are delicious cooked into a morning porridge or baked into heartier meals like stuffing and risotto. 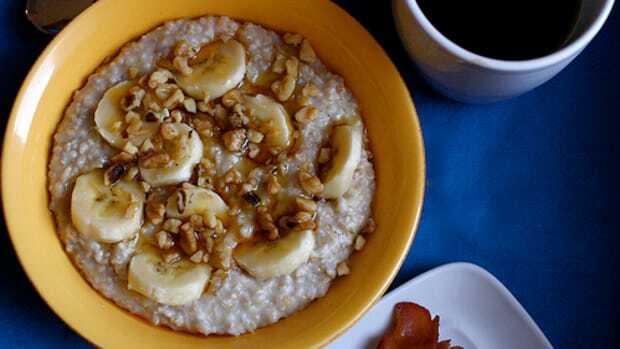 Also called quick-cooking oats, instant oats are the most processed type of oatmeal. This oatmeal is made by partially cooking the grains before rolling them into a thin finished product. Oftentimes, sugar, salt and other ingredients are added. This type of oat is best made into a quick porridge. Instant oats tend to have a mushier texture than other less processed oatmeal types. The word "groat" comes from an old Scottish word describing an oat kernel with the hull removed. This type of oat takes longer to cook, but delivers a hearty and chewy taste and texture as its reward. Oat groats can be cooked into porridge or used for heartier grain dishes in place of quinoa or rice. These are simply rolled or steel-cut oats that have been soaked, sprouted, and dehydrated. Oats contain phytic acid, a compound that can interfere with nutrient absorption in the GI tract. Soaking and sprouting significantly reduces the amount of phytic acid in oats. Cooking oats, and other grains, reduces this compound too. 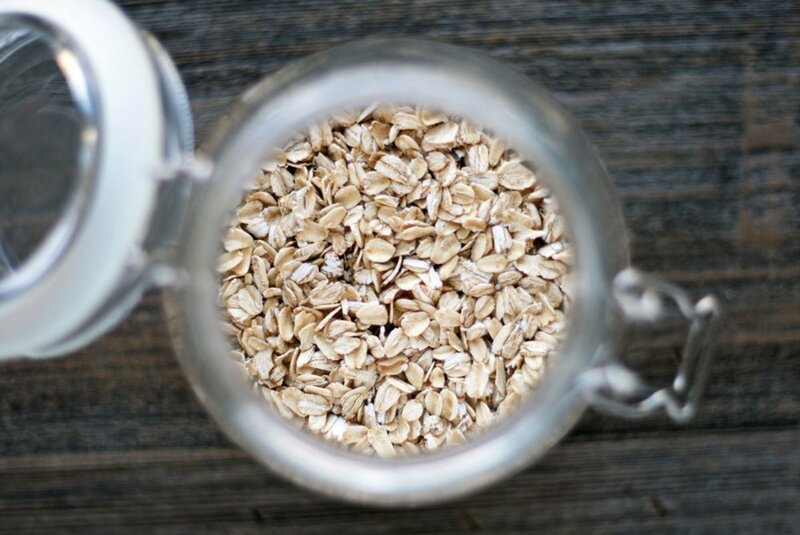 If you can’t find sprouted oats in your grocery store, you can also soak your oats with an acidic compound overnight (one cup oats + one cup water + two tablespoons apple cider vinegar, lemon juice, or yogurt). The acid helps to break down the phytic acid found naturally in the oats. Simply pour this mixture into your pot and cook away! Now that you know how amazing oatmeal is for your health, and the right types of oats to choose, it’s time to make yourself a bowl. In this method, I’m using organic rolled oats purchased from the bulk section of my local health food store. 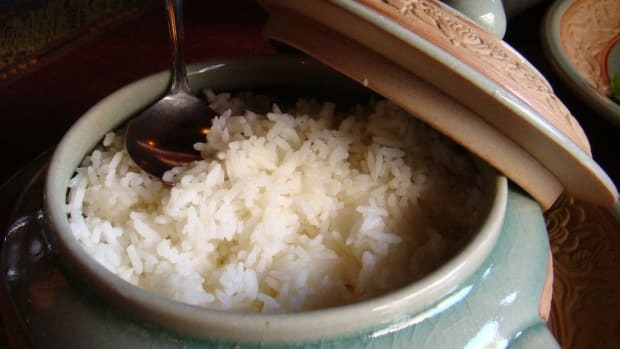 You’ll need a medium sized pot, rolled oats, measuring cups, a pinch of sea salt, a wooden spoon, and water. 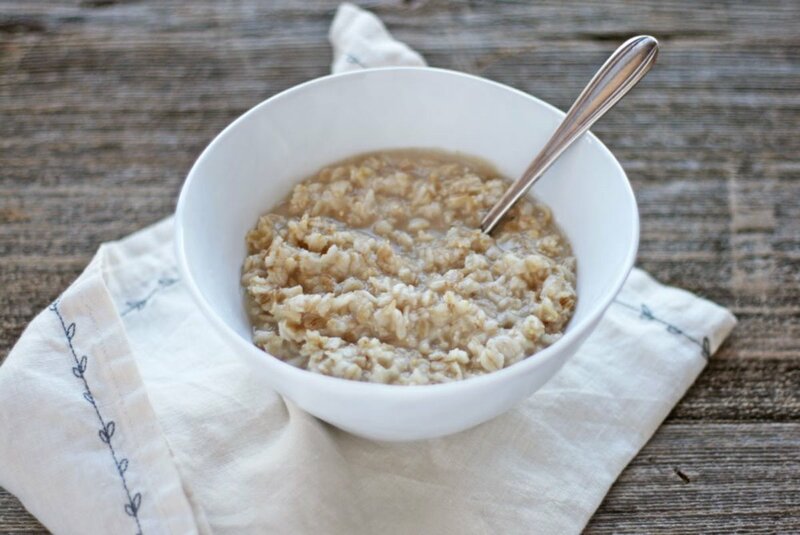 To make one serving of oats you’ll need ½ cup rolled oats, 1 ¼ cup water, and a pinch of sea salt. Tip: Yes, cook your oats in water, not milk. Doing so ensures a creamier texture. If you’d like, add in a splash of milk (dairy or nondairy) at the end of the cooking process. Step 2: Bring water to a rolling boil. Add water to your pot over high heat. Bring water to a rolling boil and then stir in rolled oats and a pinch of sea salt. Tip:I love to add in pink Himalayan sea salt for a boost of naturally occurring minerals. Cooking oats with salt is essential; it provides flavoring and allows the oat grain to open up and fully cook. Step 3: Reduce heat and stir. 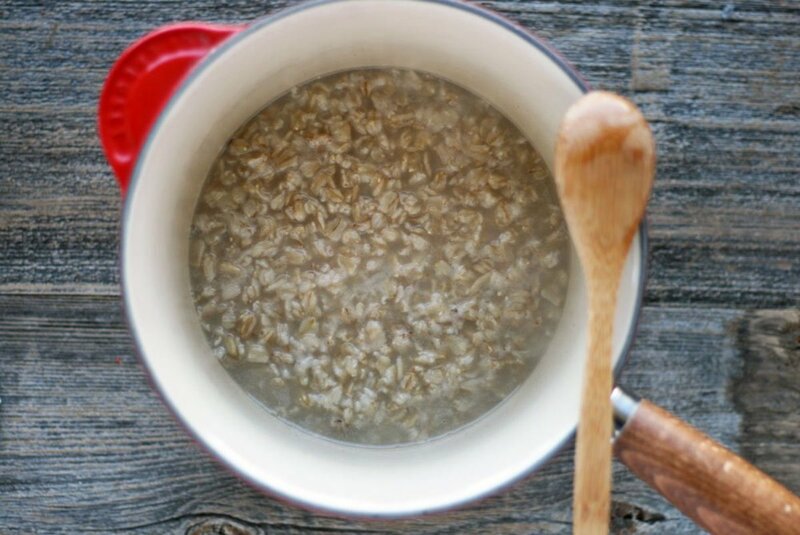 Reduce the heat to medium-low and stir every so often, until oats become plump and thickened, about 10-15 minutes. Tip: During this time, feel free to stir in your sweetener of choice or seasonings. If the oats are a bit too watery for my liking, I also like to add in a tablespoon of chia or ground flax seeds to thicken up the consistency. Step 4: Pour into a bowl and devour! 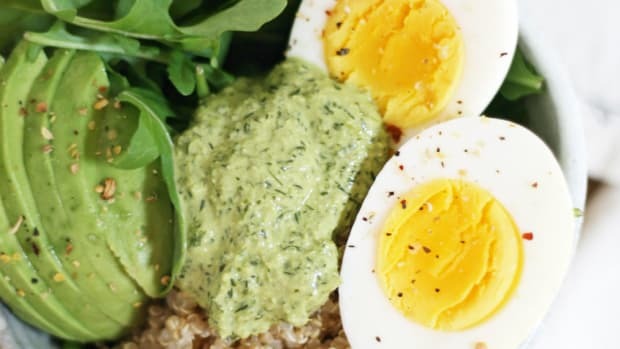 Pour cooked oats into a deep bowl and garnish with toppings and spices. See our favorites below. 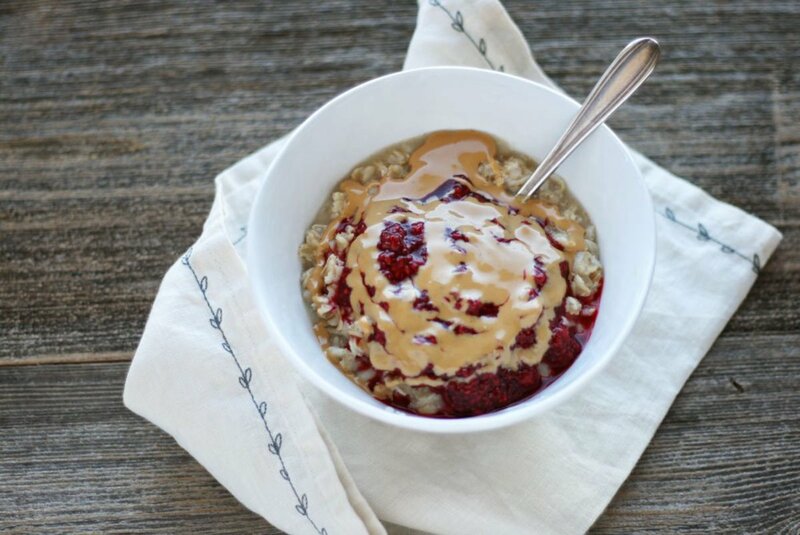 In this recipe I’m topping my bowl with gently warmed raspberry chia seed jam, cinnamon, and creamy peanut butter. Tip: Once pouring your oats into a bowl, immediately soak your pot with hot water and soap. Leaving oats in the pot is a recipe for a dishwashing nightmare. Cooked oats are a bit too Plain Jane without fun toppings and flavor combinations. Here are some favorite spices, flavors, and additions to make the best bowl of oatmeal ever. Spices: stir in a few dashes of desired spice to your pot of oatmeal before serving. Try cinnamon, cardamom, nutmeg, ginger, turmeric, or pumpkin pie spice. Sweeteners: Add in a drizzle of something sweet to brighten up your bowl, like raw honey, maple syrup, coconut sugar, blackstrap molasses, and date syrup. Dried fruit: Chose no sugar and no oil added varieties of raisins, dates, figs, goji berries, golden berries, cranberries, or tart cherries. Superfoods: Chia seeds, coconut flakes, cacao powder, maca powder, mushroom powders, full fat yogurt or coconut yogurt, etc. 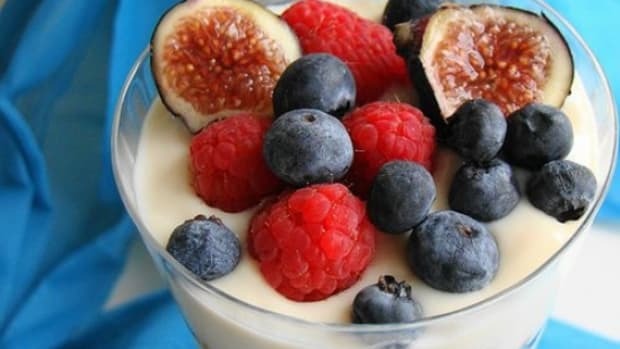 Fruit: Fresh or frozen berries, banana slices, diced and cooked apple, stone fruits, pear, etc. Nuts and seeds: Almonds, walnuts, cashews, pecans, sunflower seeds, pumpkin seeds, etc. Nut butters: Peanut butter, almond butter, tahini, sunflower butter, cashew butter, coconut butter, etc. Savory: Add in a poached egg, Parmesan cheese, a sprinkle of black pepper, sautéed spinach with garlic, and cooked sweet potatoes for a totally different take on standard oatmeal. Gluten-Free: If you are sensitive or allergic to gluten, make sure to purchase certified gluten-free oats. Oats are naturally gluten-free, but are often processed in a plant that also handles gluten-containing grains. To be on the safe side, purchase gluten-free rolled oats for peace of mind. Making oatmeal? Tag and show us on Instagram, Facebook, or Twitter with the tag #BeOrganic @OrganicAuthority – We can’t wait to get social with you! 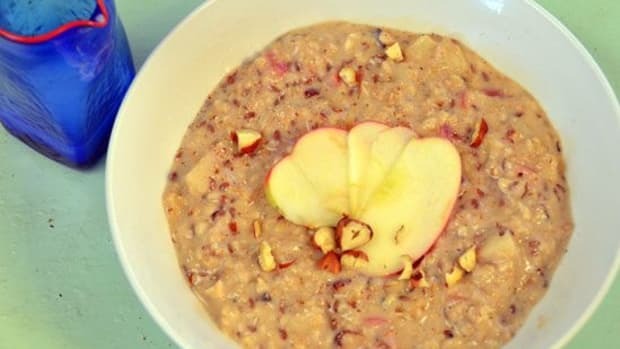 Easy Steel Cut Oatmeal Recipe with Coconut Oil and Cinnamon: Wake Right Up!